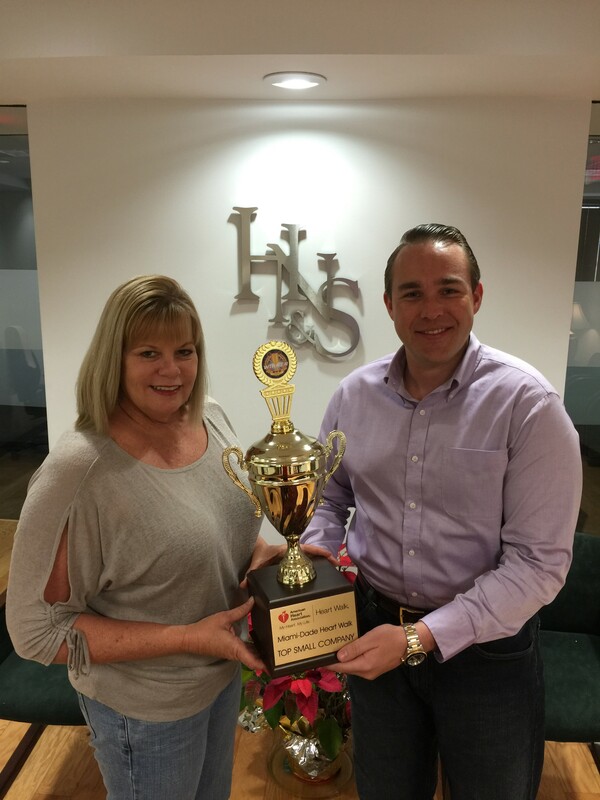 Team HNS was the top small company raising funds for the 2015 American Heart Association Heart Walk for the second year in a row! The team was led by Ryan McCarthy, an associate attorney at the firm and Elli Fink, a legal assistant. “As a firm consistently striving to give back to the community, we are proud to accept the award for Top Small Company for the American Heart Association Heart Walk 2015. We are grateful for the efforts of our team, and for all those who donated, in supporting this tremendous cause.” Ryan stated. Elli added, “Anything can be achieved when it comes from the heart”.